Get ready to upgrade your library of sounds the PurpleWorld way!! all here!! FROM JAZZ TO SOUL TO TRAP TO RNB TO ROCK… all here!! 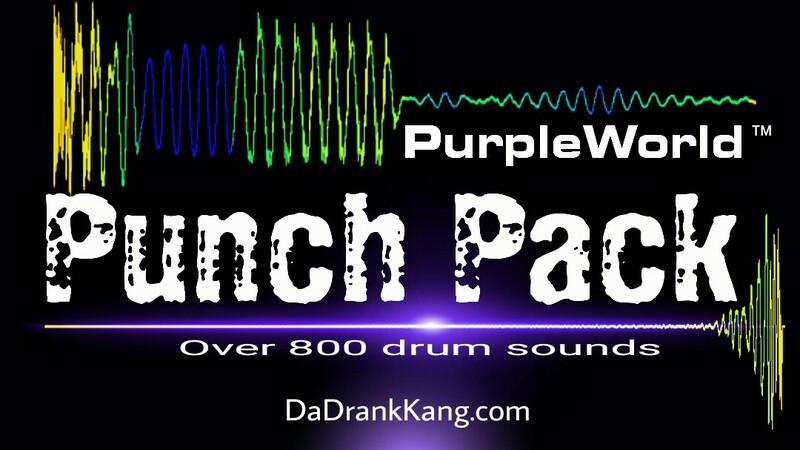 THE PurpleWorld Punch Pack is useful for the beginner beat maker who needs to boost their library or the advanced producer who wants to enhance his creations!! THATS IT!!! Your PUNCH PACK will be sent to your registered email address! Please allow time for your order to be processed as we have many to fill. We have sent your kit to the email address registered. THANK YOU! Your PurpleWorld Punch Pack has been sent to pj***es6@comcast thank you and enjoy! remember to check spam inbox if not received.